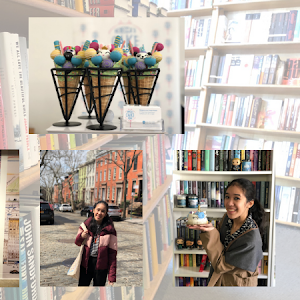 FTC Disclosure: Thanks to the lovely team at the NOVL, I received a copy of The Cruel Prince and have an exciting giveaway to share with all of you! 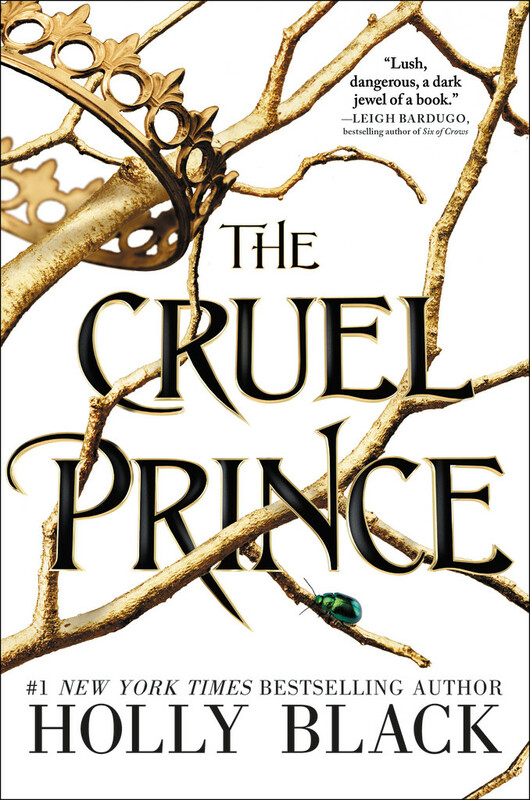 If you've been following my blog (or our YouTube channel or my Instagram account) for a few months, you'll know how much I adore The Cruel Prince! 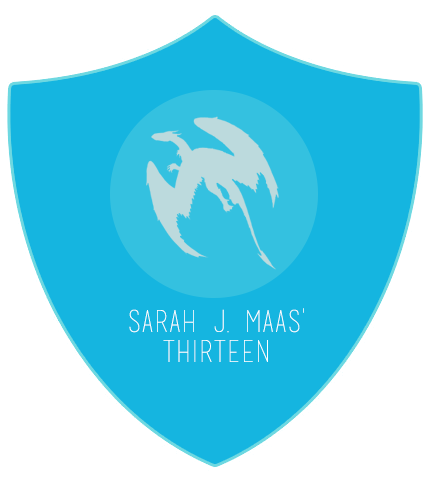 I read it for the first time around June last year (Thanks to a big push from my lovely pal Kristin of Super Space Chick!) and fell head over heels in love with Holly Black's portrayal of a human girl trying to navigate the complicated, brutal world of the fae. I loved it so much that I reread it again as my first book of 2018 (spoiler: it was still just as amazing as the first time I read it) and will continue to recommend it to everyone and anyone! 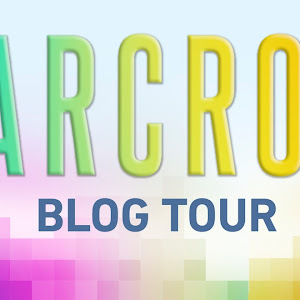 I'm really thrilled to be partnering with the NOVL team for this fun post and a giveaway. Before we get to the goods (and it's definitely a prize pack you're going to want to get your hands on - trust me! 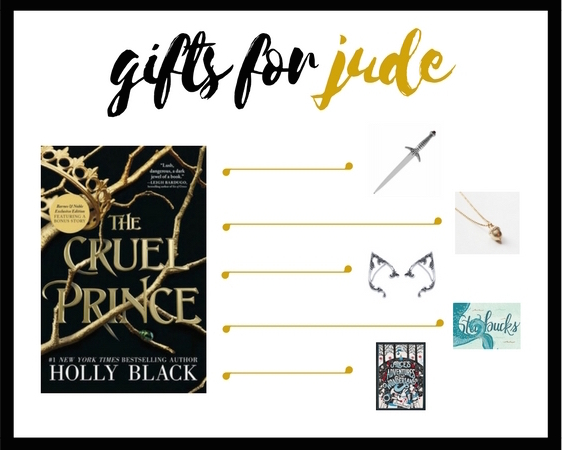 ), I'll be sharing a fun little gift guide I put together for Jude and Cardan, the two central charactesr in The Cruel Prince, in the hopes that you'll enjoy getting an idea of these two personalities! Absinthe | It's a fact that Cardan and his crowd enjoy indulging in a drink or two (or ten). While I'm not necessarily fond of alcohol myself, I do feel like Cardan would rather like absinthe. It would suit his tastes, I'd like to say, both in terms of taste and aethestic. Silver fox mask | While I'm sure most fae folk can create glamours to serve as their costume, there's still something to be said for a traditional masquerade where all in attendance must don actual masks. Silver, and a tricksy sort of animal? This mask would certainly suit our prince. A red velvet coat | Honestly, I just feel like Cardan would be the type to wear velvet and look smashing in it! It would probably suit him as part of his everyday wardrobe, particularly with his dark looks and his princely bearing. A deck of cards | Cardan, as with many of the fae, is fond of games. While his tend to toe the line between reasonable and violently passionate, I do think he'd be a clever, savvy card player. He would certainly be an entertaining (and potentially difficult) opponent. The Count of Monte Cristo by Alexandre Dumas | A story that centers around a man hellbent on exacting revenge on those that wronged him? This sounds like a novel that is right up Cardan's alley, particularly considering the circumstances. Gold acorn necklace | While it wasn't specifically significant to Jude initially, I feel like she would appreciate owning a gorgeous piece of jewelry. It would symbolize a moment that is extremely important in the course of Jude's story, and would serve as a subtle reminder to other folk in the know. Elf ears | Jude longs to be more like the fae that surround her day in and day out. These might not be the real deal (yet), but it would be a substitute that brings her desire to look like them a little bit closer and also just looks really damn pretty. Starbucks gift card | Even though she lives in the world of Elfhame, it's a fact that Jude (and her sisters) often slip away to the human world. One of the things that Jude absolutely loves is a mocha, and it would be a pleasure for her to have the funds to feed her habit. Alice in Wonderland by Lewis Carroll | When Jude and her sisters were children, their mother would read them this story. 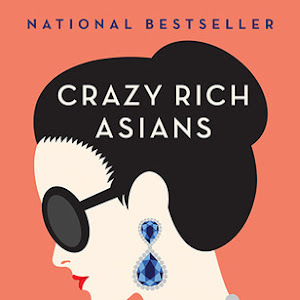 It would mean a lot to Jude to own her own copy of this book, particularly if it looks as beautiful as this one. 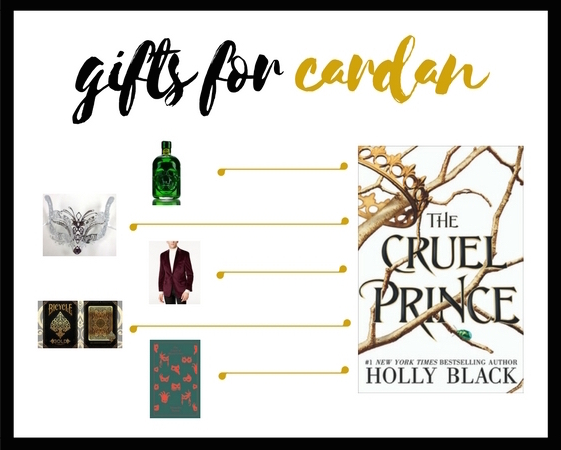 I had so much fun coming up with these present ideas for Jude & Cardan! I hope I've intrigued you sufficiently, enough so that you want to meet these two for yourself. Luckily, the team over at the NOVL is partnering with me to give one lucky winner the chance to win this incredible prize pack! Join Holly Black, the Queen of Faerie! Prizing and samples provided by NOVL. 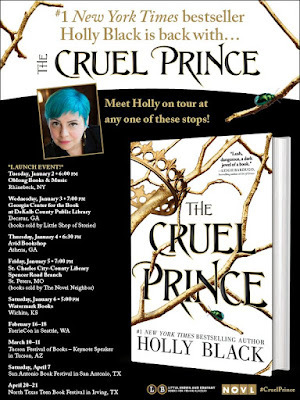 In case you also wanted to know a little bit more about The Cruel Prince and Holly Black, you can check out the book details, author info and relevant links below. Watch The Cruel Prince body paint tutorial! 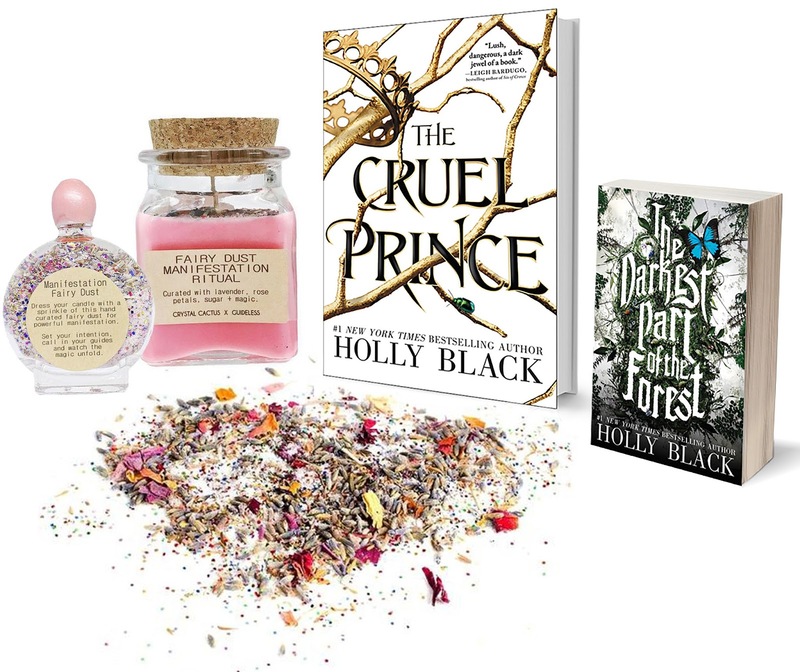 ABOUT THE AUTHOR: Holly Black is the bestselling author of contemporary fantasy novels, including Tithe: A Modern Faerie Tale and the #1 New York Times bestselling Spiderwick series. 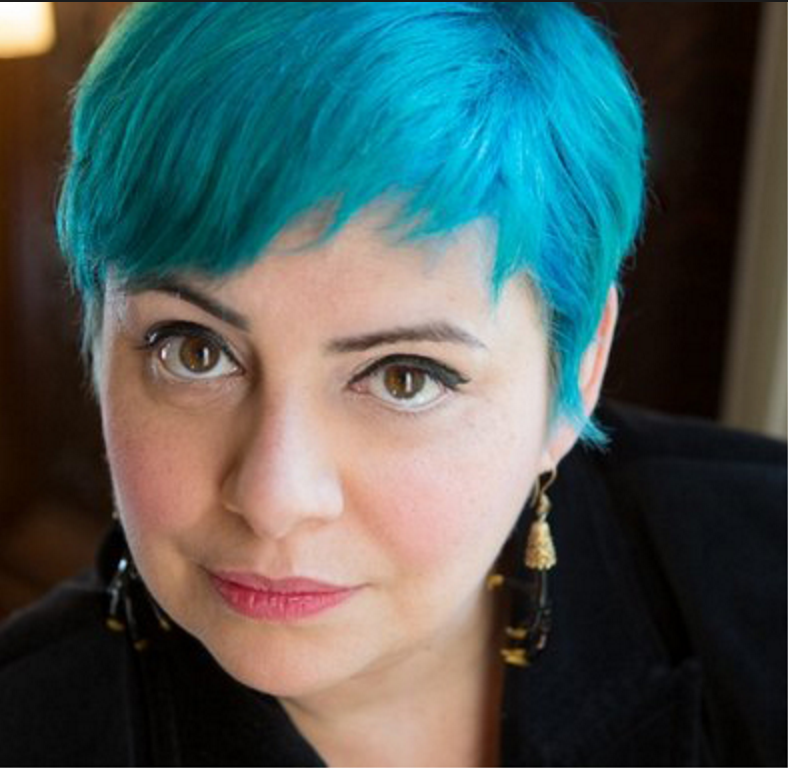 She has been a finalist for the Mythopoeic Award and the Eisner Award, and the recipient of the Andre Norton Award. 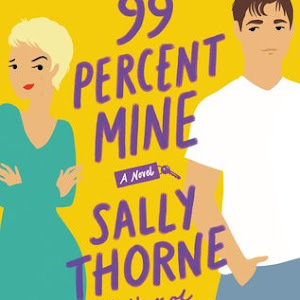 Holly lives in Massachusetts with her husband, Theo, in a house with a secret library.